Horizon Fitness makes a variety of fitness equipment, including a series of treadmills. These fitness machines require very little maintenance and are simple to use. You will need to reset your treadmill if you want to clear the data or if you have a power outage. The good news is that resetting a Horizon treadmill is easy. Check that the treadmill is plugged into an electrical source. Turn the treadmill on by flipping the power switch to the "On" position. Look for the "Stop/Pause" button on your console. Depending on which model you have, it will either be on the lower-right-hand corner or the lower-left-hand corner. 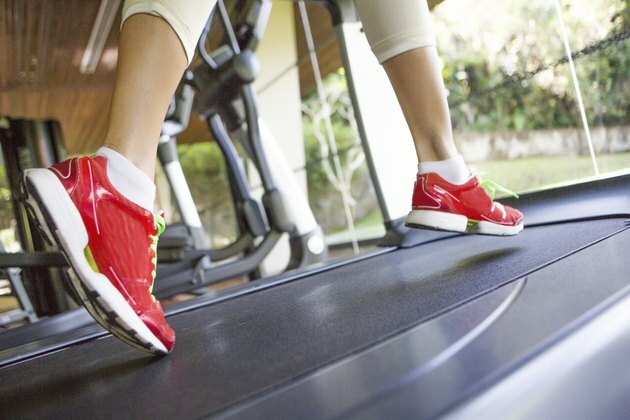 Press and hold the "Stop/Pause" button for at least 3 seconds to reset the treadmill. You will hear a beeping noise, which indicates the treadmill has been reset. Release the "Stop/Pause" button. Turn the treadmill off and back on if you receive an error code when trying to reset the Horizon Treadmill and repeat the steps above. Contact Horizon customer service at 1-800-244-4192, if you have problems resetting your treadmill.